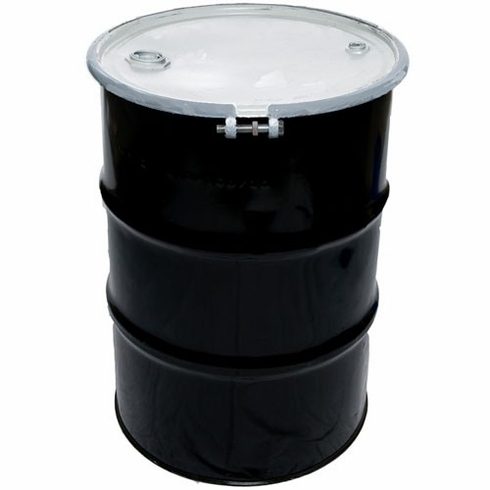 These fifty five gallon containers are dual U/N rated for both liquid and solid hazardous material storage. They may be used for liquid materials that are rated packing group II or III and solid materials that are packing group II, or III. feature a heavy bolt ring and a white steel cover (with or without bungs). They are rated to safely hold up to 55 gallons of material with a specific gravity of 1.2 and 400 kg (880 lbs) of solid hazardous material.